Charcoal peel-off masks are still the buzziest skincare products on Instagram. Seeing the pore debris on the back of a freshly peeled mask should be plain gross, and it is, but it's also incredibly satisfying. There's something about being able to physically see the gunk that's left your pores that makes you feel accomplished—like your skin is instantly more clean and renewed. But just because they're popular on Instagram doesn't mean they're popular with everyone. Many skincare experts have spoken out against these masks, saying they're much too harsh for the gentle skin on your face. Ingredients aside, you have to tug and pull the mask to remove it—sometimes painfully so. So what's the consensus, then? Are charcoal peel-off masks okay to use, or should we stay far, far away? We took these questions to a couple of estheticians to find out once and for all. Keep reading to see what the pros have to say about these popular skincare products! Angela Caglia, a celebrity facialist and esthetician, first heard about these charcoal peel-off masks through her 13-year-old daughter, who had seen them on the internet. "I knew that charcoal is known for its abilities to draw out impurities, but it was the hardening, pulling, and adhesive capabilities that had me nervous," she said. "What these masks do differently from other masks is that they give you immediate results on the actual mask itself to see, which for many is very satisfying." May we interrupt to say, see? It's not just us! According to Caglia, that "visual element" is massive for a product's marketing and popularity. "Many skincare companies these days are actually creating products around the idea that they will be visually stimulating for Instagram. This is a part of the development process as never before," she says. Heather Wilson, brand development director and lead esthetician at InstaNatural, agrees. "While most skincare products are designed with safety and efficacy in mind, there are products that are formulated with a goal of instant gratification and thrill instead of true long-term results." Wilson says that continual use of these masks could even harm the skin's natural barrier, resulting in dryness, redness, sensitivity, or breakouts (all thanks to their strong adhesive qualities): "These types of masks rip dead skin cells from the surface of the skin in an aggressive manner, and along with it, they can pull at facial hair and healthy skin cells, causing discomfort or damage." As for their efficacy? Wilson says they can remove surface-level blackheads, though "most of what is actually showing on the mask is facial hair." That's why she recommends forgoing charcoal peel-off masks for something more gentle. "Any exfoliation that is achieved with these masks can be obtained through a variety of other products while keeping the skin's health and barrier intact. Intense exfoliation has its place in a healthy skincare routine, but it should be left to a professional. Instead, gentle exfoliation at home leads to a healthier skin care result." For this, she recommends InstaNatural's Charcoal Mask ($18) and Glycolic Peel ($25). Caglia recommends using a more traditional mask in lieu of a charcoal peel-off mask as well. Try her Rose Glycolic Masque ($65). The glycolic acid will gently exfoliate, while rose and other naturally derived ingredients will soothe and treat troubled skin. She does, however, have some recommendations if you're dead set on using a charcoal peel-off mask. "I prefer the Shills and Bioré lines because of the ingredients," she says. Try Shill's Black Mask ($15). Just be sure to "hold the skin taut before pulling," since that's "essential to not stretch the skin elasticity," she advises. So there you have it: Those charcoal peel-off masks might be effective, but they're generally much too harsh, according to our expert estheticians. Reach for a traditional charcoal clay mask instead of a peel-off to get similar results. And speaking of clay, holistic esthetician Tammy Fender actually prefers it to charcoal in skincare formulas. "I'm not actively working with charcoal because I prefer to use mineral-rich clay in my work," she tells us. "Clay works in a similar way, absorbing toxins, but as a mask base, clay can also carry and deliver a concentrated wealth of remedies to the skin. For me, clay goes beyond detoxification—it provides replenishment for the skin," she explains. That way you can detox your pores without risking your skin's health. However, if you're dead-set on giving them a try anyway, take a look at these highly-rated masks on Amazon below. This Japanese charcoal mask has rave reviews on Amazon. One customer, Missy, writes "I love this stuff. 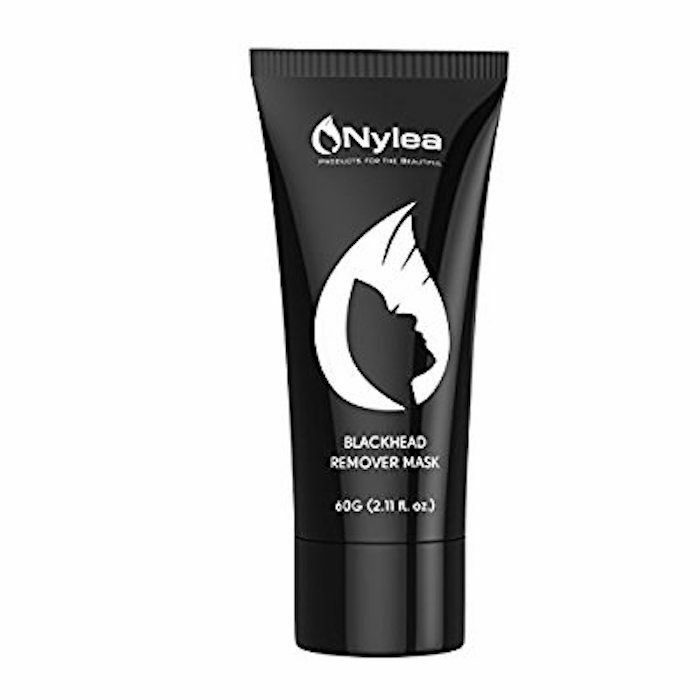 I have very bad blackheads and this does it job." It's all thanks to the charcoal and oak extracts found inside, which remove blackheads and oil while smoothing skin. You might find the thick texture hard to work with, so have a brush on hand. "I applied with a foundation brush and got the perfect coverage," she said. This mask has over 1,500 positive reviews on Amazon. It's so well loved due to its purifying and hydrating formula. Charcoal draws out pore impurities (and yes, blackheads), while glycerin soothes and hydrates the skin. If you have naturally dry skin, and you're set on using a charcoal peel off mask, this one might be the ticket. Speaking of clay, next, read up on the best clay masks for every budget!